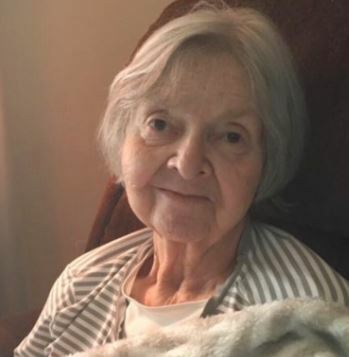 Jerie Joan Ballard Orr, 90, passed away on February 1, 2019 at her home with her daughter by her side. Joan was born on September 24, 1928 in Newton, Kansas to Ray and Dorothy Edna Ballard. She attended Newton schools and received her Bachelor’s degree from the University of Oklahoma and her Masters from the University of Kansas. Her loyalty remained with the Oklahoma University Sooners and she was a lifelong fan of OU football. Early on in her career Joan worked for the Santa Fe Railroad and later served as a clinical/child abuse social worker and mentored many in various programs. Joan was a very compassionate, caring, and giving person who reached out and helped others her entire life. As an animal lover she enjoyed her three cats and beloved dog. She had a gregarious personality and always took pleasure talking with friends, old and new. Her hobbies included knitting, genealogy, being an avid reader, and she had a passion for traveling the world with her daughter. She is survived by her daughter: Jane Jolette Orr; grandchildren: London Olivia Orr-Thompson and Jordan Brinkley Orr. Joan was preceded in death by her parents: Ray and Dorothy Edna Ballard; and sister: Judith Rudberg. A memorial service will be held at 2 pm, Saturday, February 9, 2019 at St. Matthews Episcopal Church in Newton. The family will greet friends following the service. The family would like to express their deep appreciation to Good Shepherd Hospice for the care, comfort and love shown to Joan. Petersenfamilyfuneralhome.com. Praying for you and your family. You are such an amazing daughter. May you feel the love all around you at this difficult time. So very sorry for your loss, she is in the Lord’s hands now..I pray you and your family find comfort in the love and life you have shared with her. Heaven received another Angel she will watch over her Family from up above!!! Praying for your Family during your loss of a wonderful Mom!!!! Heaven gained another Angel! She will be looking over you & your Family forever!! Love you Jane!! My thoughts are with you, dear Jane! Jane, I extend my love and sympathy. Your Mother was an incredible women who did everything she could to give you a wonderful life and stood strong until the end!♥️ She always encouraged you to explore and learn all about the wonderful world we live in! You both respected each other so very much! I feel privileged to have met her and spend some time with both of you on a few occasions. She is at peace now but her love and spirit will always be with you, Jordan and London! All my love to you and your family during this difficult time! God bless you Jane and your children! And God bless your mother, what a great lady! My thoughts and prayers are with you and yours! Mom & I extend our deepest sympathy to you all. Mom thought the world of Joan, her lifelong friend and schoolmate. The memories they shared will be treasured! May God give you strength & comfort during this difficult time. The Dale W. Plummer family is very sorry for your loss. Our thoughts and prayers are with all of the family for His comfort to you. Rest in sweet peace, Joan. We are all the better for having known you. Sending prayers for the family. I will always cherish our time when we were young growing up, traveling to California and our Italy trip with your mother. You have done everything you could and took such good care of her Jane. She is in a better place and lived a fabulous life. Thinking of you, Jordan and London. So sorry for your loss,Jane..your Mother was such a gifted caring special person. So sorry for your loss, Jane. She will be missed, but she is no longer hurting! The REAL LIFE has begun! Praying for you and your family during these difficult days. Sending my heartfelt thoughts and deepest sympathy to you, Jane, your family, and all those that loved your mom.